I'm very fair skinned and its hard for me to get a tan. I have used tanning beds before but always just burn even for the short visits and plus they are so bad for you. I have used lotions and sprays but never had great luck with them. They usually leave me streaked and my hands orange. I was offered to review this and was so excited because I had never tried towels before. Right off the bat I fell in love with the box design. Its very eye catching and I LOVE the single pack pull out option. I can place over items on top of it and not have to move them be able to get one out. The single packages are easy to open. I do not have to hunt down scissors to open them. I first exfoliated real good as recommended before I used. I just wiped the area I wanted to tan with the towel. These towels are a great size and easy to wipe with. I recommend avoiding wrists and knees as much as possible like they recommend. I got carried away and got my wrist too much and it turned out darker than the rest. One towel done both of my arms great. In about 4 hours I noticed color starting to show and within 6 hours I had a great even tan. I was amazed that my hand was not orange. Using once, I had a great tan that lasted about a week. I'm completely in love with these. They are so easy to use and I get a great look with them. They are the best self tanning product I have ever used. I highly recommend these and will be purchasing when I run out. Good review. Thanks for the giveaway. Thanks for the great review, and for posting a picture of what the towel looked like. I was curious! I so need these for my pasty white behind! lol. Glad Im not the only one that has issues tanning. Wow,.. it looks great!! I need this for my next cruise!! Thank you for showing pictures!!! It always helps to see what a product looks like and what it does! :) Loved your review! Thank you for the opportunity, and thanks for sharing. Awesome review. These look super cool.. It's so hard to find tanning stuff that won't leave streaks. 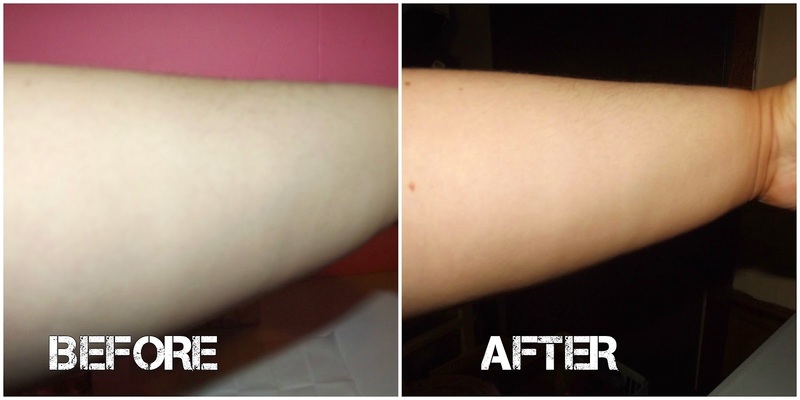 Great review, these towelettes look much easier to use than self-tanning lotions! Thanks for the information! I've always been nervous of these kinda things but your results look so natural! Never seen anything like those before. Intrigued, and want to try them out! Pale as all can be, here in NH! Thanks so much for the chance to win this! This would be awesome to win!! Very informative! I love it. They look like they really work. Thank you having giveaway would love to try thanks!